Portland, Ore – Outside of email, Microsoft’s Outlook App provides only basic support for Contacts and Calendar. Admittedly it is difficult to condense the rich features of PC Outlook on the small screen of your cell phone. Luckily, the Google Play Store and the Apple App Store feature an alternative to the Microsoft Outlook App called DejaOffice. 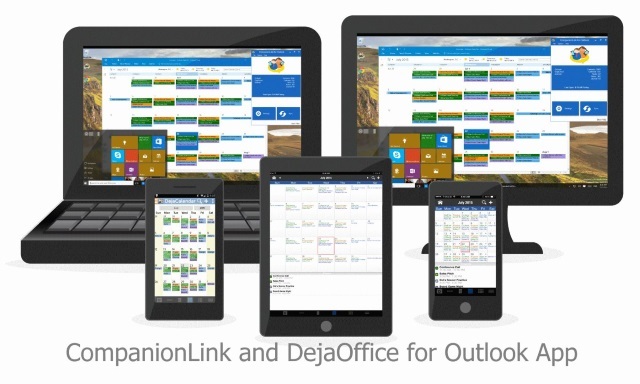 DejaOffice easily connects to your PC Outlook, synchronizing Contacts, Calendar, Tasks and Notes. It does this without using Microsoft Exchange. DejaOffice does not require an Office 365 account. 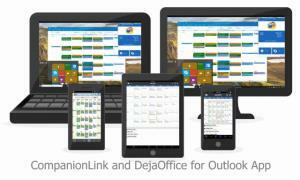 DejaOffice is compatible with all versions of Outlook including Outlook for Mac, Outlook 2003, 2007, 2010, 2013 and 2016. DejaOffice can synchronize using USB, remember old ‘Hotsync’? DejaOffice also supports Wi-Fi, Bluetooth and a proprietary sync method called DejaCloud.